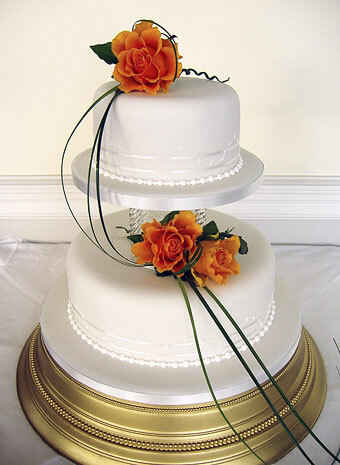 With over 25 years experience Cakes Galore has earned the reputation of making “the most beautiful cakes”. We are a small family run business based in Lydd on Romney Marsh within easy reach of Ashford, Tenterden, Hythe, Folkestone and Canterbury. 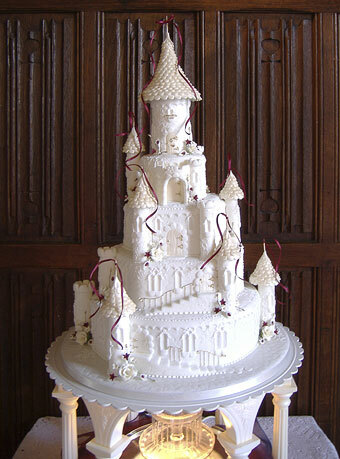 view our extensive cake photo gallery! 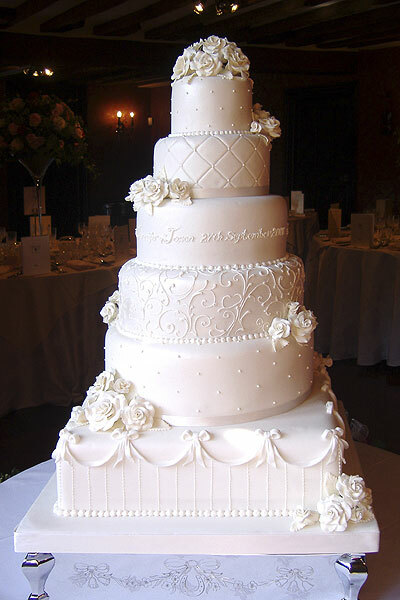 We pride ourselves in providing our clients with a unique wedding cake designed and handcrafted to the highest standard. 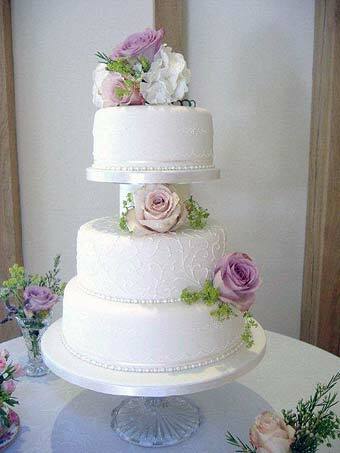 Vintage Wedding cake with sugar flowers. Our friendly and professional service is recommended by many local venues including Eastwell Manor, Lympne Castle, Boys Hall and by our valued clientele. Cup cake wedding cake with pink sugar blossoms. Whether you want a simple elegant design, a design that is contemporary and stylish, a wacky fun cake, cup cakes or even a scrumptious chocolate cake “we aim to bake you the most beautiful cake”. 2-tier Lily Wedding Cake with fresh flowers. 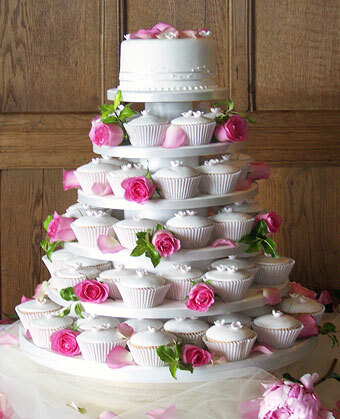 This site shows just a very small sample of our wedding cakes. 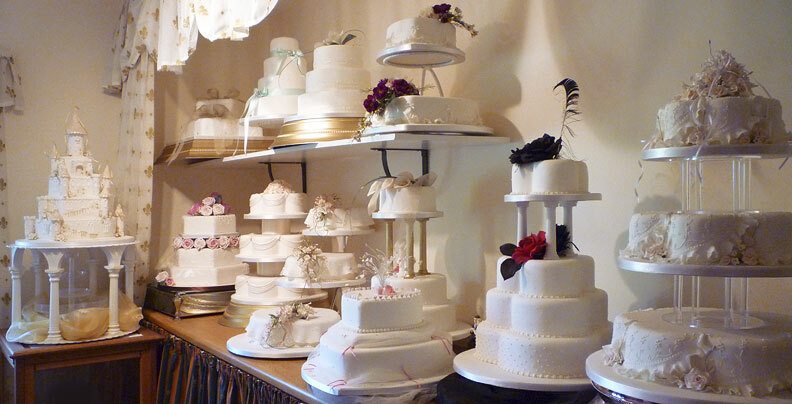 Our display room - which as you will see is home to a good selection of wedding cakes - also houses hundreds of images of all our cakes for you to browse through. The Display Room at Cakes Galore - please ring Penny for an appointment. view more cakes & more info in our photo gallery! 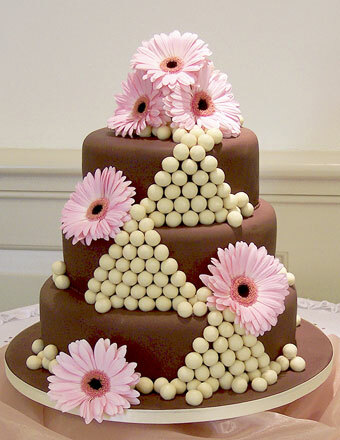 whatever the size, whatever the shape, we aim to bake you the most beautiful cake!